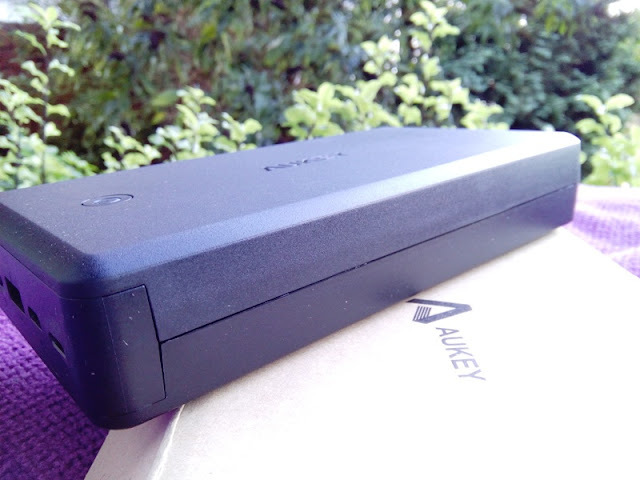 Aukey PB-T11 30000mAh Power Bank With Both USB & Lightning Inputs! 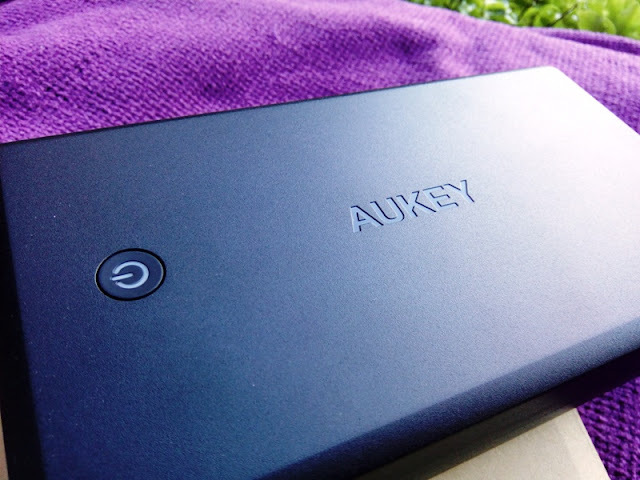 If you are planning going on a camping trip or weekend trip, not only you need a portable power source to charge your devices but a portable power source that can be recharged fast! 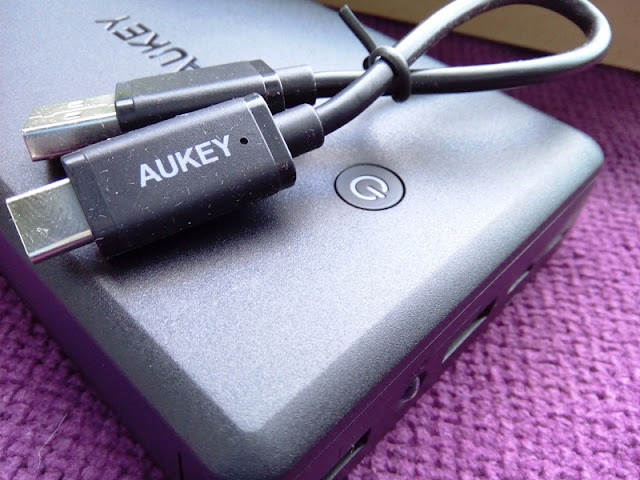 That's where the Aukey PB-T11 30000mAh Lightning power bank is on a level of its own! 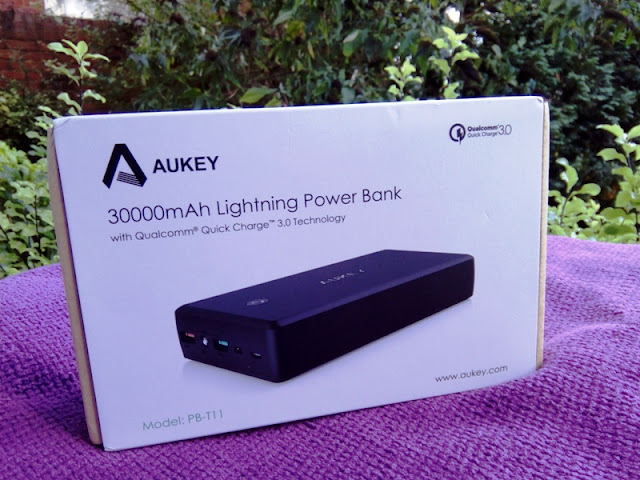 It takes around 13 hours to charge a 30000mAh power bank of this size from 0% to 100% but the difference between Aukey's 30000mAh Lightning power bank and a regular 30000mAh power bank is that Aukey's PB-T11 power bank comes with both micro USB 2.4A input charging and Lightning 2.4A input charging. 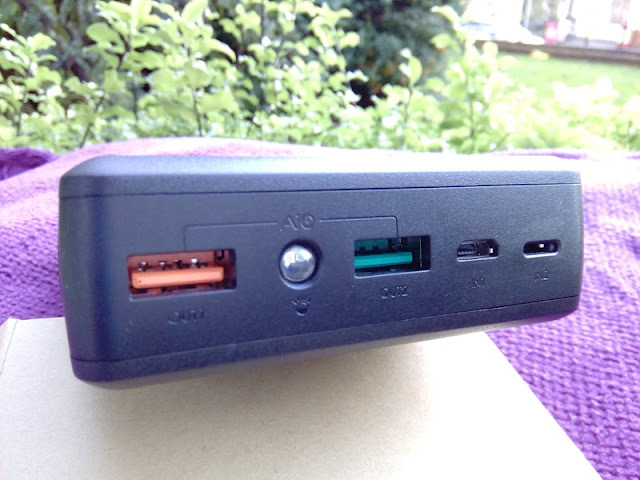 Being able to charge the power bank via micro USB and Lightning at the same time means that you can recharge the power bank faster via a combined current of 4A. 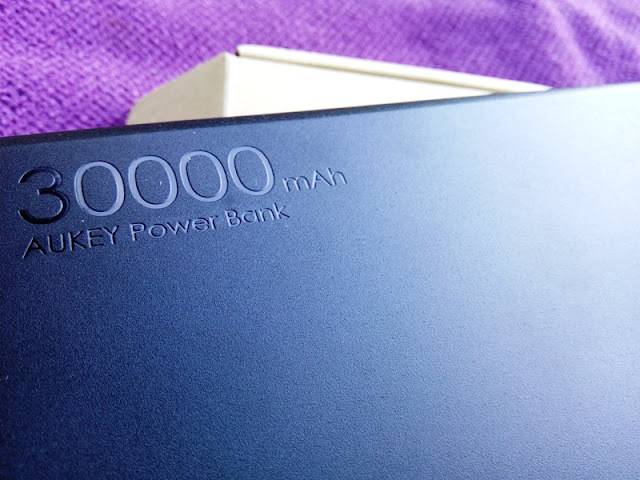 Therefore, it only takes 7 hours (instead of 13 hours) to fully charge Aukey's 30000mAh Lightning power bank. 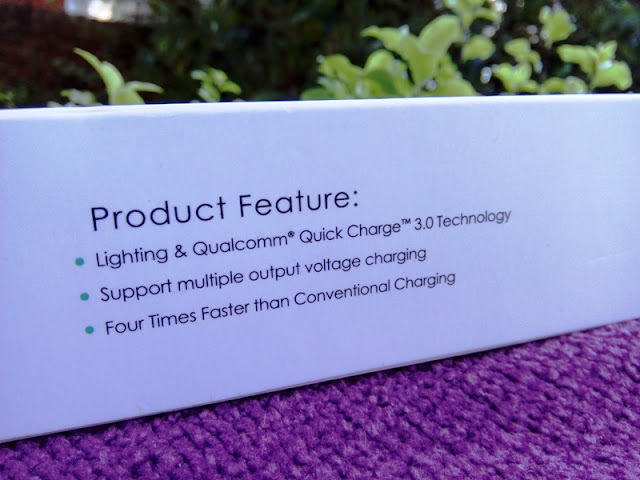 You also get a battery indicator LED light to tell you how much charge is left. 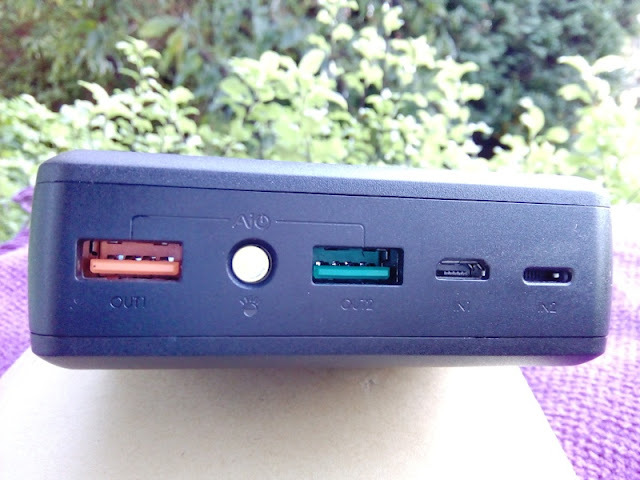 Red light indicates 0-30% charge, green light indicates 30-70% charge and white light 70-100%﻿ charge left. 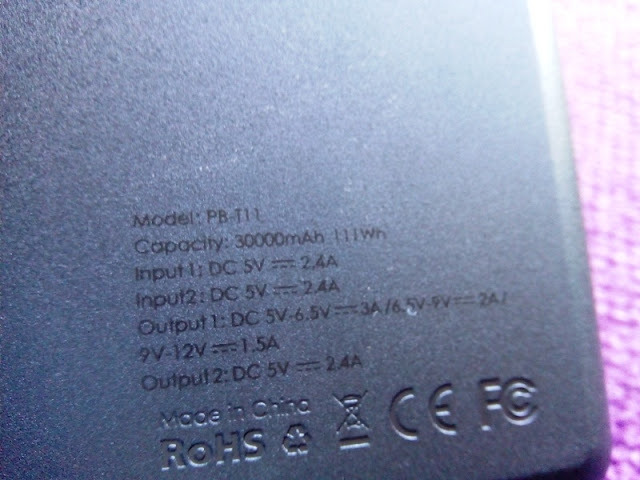 Therefore, when the battery is fully charged, the LED will show solid white. 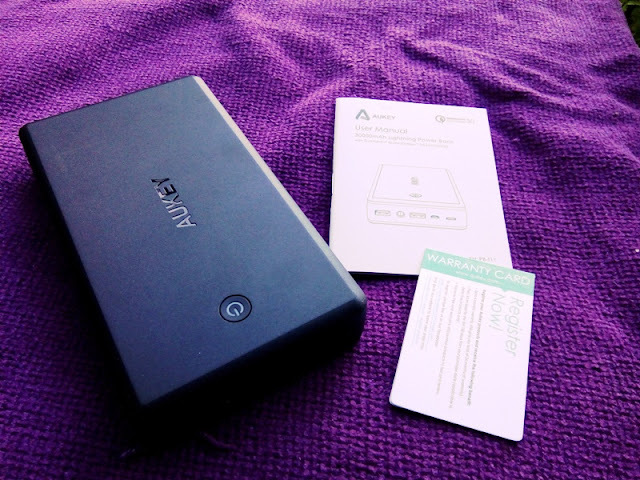 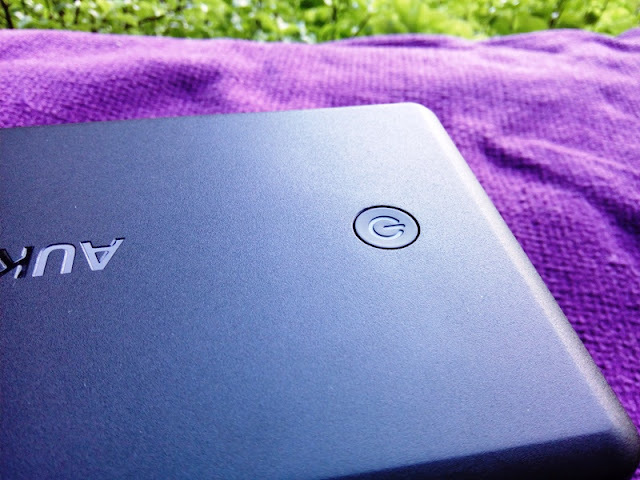 Being a 30000mAh battery, it can charge 3000mAh smartphones 11 times, twice over an iPad and three times an iPad mini.